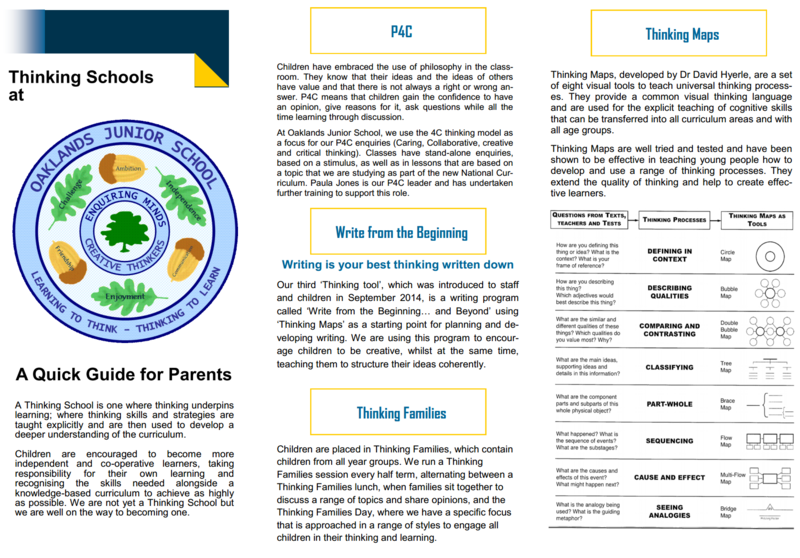 I hope that you have been aware in recent years that the staff have been introducing thinking tools into lessons, with the aim of becoming an accredited Thinking School. 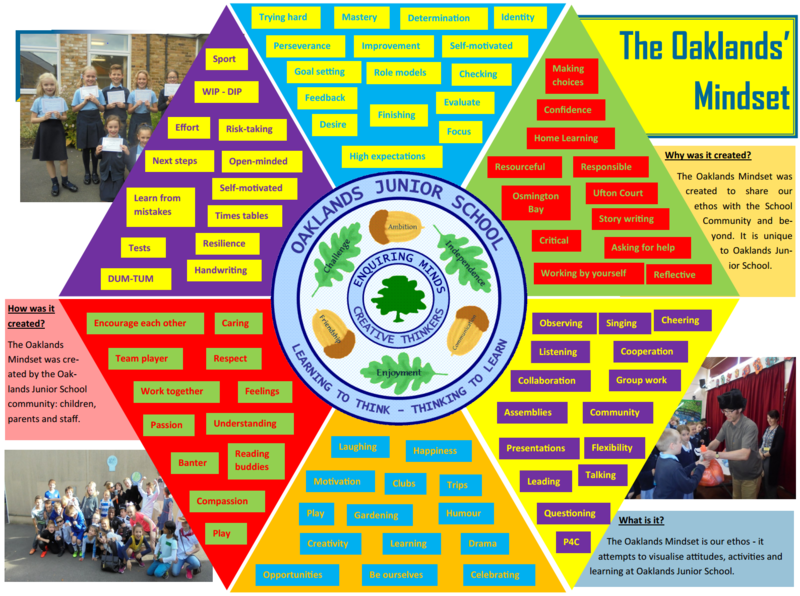 This is very much our vision at Oaklands Junior School as we believe that this philosophy will enable to children to develop enquiring minds and become creative thinkers, with a lifelong love of learning. This has been a long, gradual process but I am delighted to be able to tell you that right at the end of term, we received notification from the Accreditation Body, the University of Exeter, that we are now an accredited Thinking School. 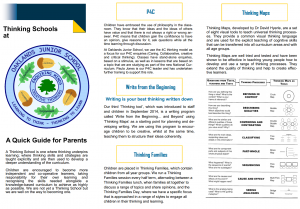 I would encourage you to talk to your children about some of these tools that they use, such as Thinking Maps, and to attend any events such as Thinking Families Days, so that you can see this in action. On behalf of the Governing Body, I should like to thank Mrs West, all the staff and in particular Mr Holland, who has taken the lead in this, for all their hard work as it has been a steep learning curve for everyone involved.